Gorontalo (Hulontalo) is a Province in Northern Sulawesi Island, Indonesia. 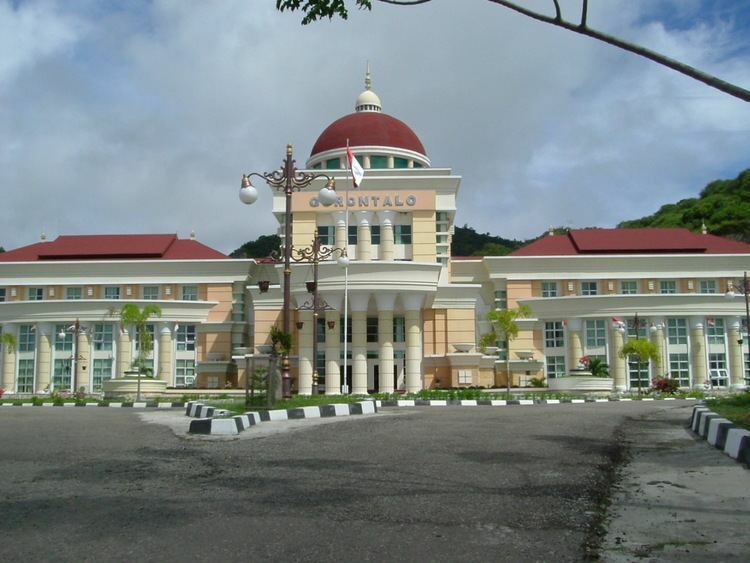 (The namesake city is also the capital of the province) As a province, Gorontalo was officially created on December 5, 2000. Historically it is well-known as a center of the spread of Islam in Eastern Indonesia. 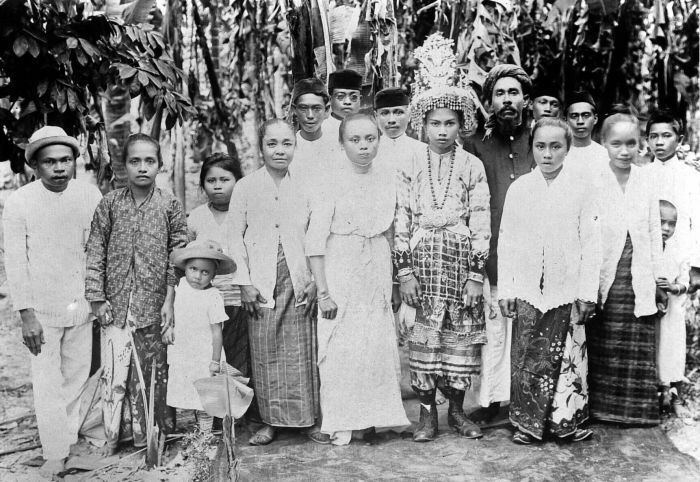 Besides, classical Gorontalese fine art and culture are unique such as Karawo, Upiya Karanji (Songkok Gorontalo) or nickname "Peci Gusdur" (Gusdur being The 4th President of Indonesia), and poetry. (Gorontalo City is also known as "The Land Under Medina's Porch"). Gorontalo province is located on the peninsula (Gorontalo Peninsula) on the northern part of Sulawesi, located in the western part of the province of North Sulawesi. The total area of the province is 12,435 square kilometres (4,801 sq mi) with a population of 1, 133, 237(2016), with population density of 88 inhabitants / km². Gorontalo is mainly inhabited by several groups consisting of various Pohala'a (Family), among them Pohala'a Gorontalo (Ethnic Hulontalo), Pohala'a Suwawa (Ethnic Suwawa/Tuwawa), Pohala'a Limboto (Ethnic Limutu). Pohala'a Bolango (Ethnic Bulango/Bolango) and Pohala'a Atinggola (Ethnic Atinggola) are also categorized into Gorontalo tribes (also known as Hulontalo, Gorontalese or Gorontaloan). It is believed that the spread of Gorantalese Diasphora has reached five times the current population in Gorontalo and are now scattered throughout Indonesia and other countries . According to historical evidence, Gorontalo Peninsula had some type of human civilization dating back approximately 1300 years ago.The Kingdom of Suwawa has been found standing around in the 8th century AD. This is reinforced by the discovery of the tomb of the king located on the bank of upstream of Bulawa River.The tomb of King of Suwawa can be found in the river upstream Bone( ? ), which is the tomb of King Moluadu (one of the king in Suwawa Kingdom) along with the tomb of his wife and son. However, Gorontalo Peninsula did not just have historical records on the inscription King ancient tombs, but it also has prehistoric sites. Oluhuta sites, is a prehistoric site and has a prehistoric tomb in it. this may be evidence that Gorontalo has had very ancient civilization. Meanwhile, the city of Gorontalo is one of the oldest city on Sulawesi in addition to the city of Makassar and Manado. It is estimated, Gorontalo has been around since approximately 400 years ago or around the 1500s in the 16th century.Previously Gorontalo City became one of the centers of Islamic religion in Eastern Indonesia, in addition to Ternate (now part of North Maluku Province). Along with the spread of the religion, Gorontalo city eventually became the center of education and commerce for surrounding communities in the region "Tomini-Bocht" as Territory Bolaang Mongondow (North Sulawesi), Region Buol, Region Luwuk, Banggai, Donggala (Central Sulawesi) even to the Southeast. This is because of its strategic location, its position facing directly into the Gulf of Tomini (south) and the Sulawesi Sea (north). Based on the classification made by the customs Mr.C.Vollenhoven, the Peninsula Gorontalo included into 19 indigenous areas in Indonesia. Between religion and customs in Gorontalo was fused with the term "Adat bersendikan Syara 'and Syara' bersendikan Kitabullah". Pohalaa Gorontalo is the most prominent among the five Pohalaa. That is why Gorontalo is more widely known. Gorontalo lies on the northern arm of Sulawesi Peninsula, also known as the Minahasa Peninsula. The province has an elongated shape area, stretching from west to east almost horizontally on a map, with a total area of 11,257.07 km2 (4,346.38 sq mi). To the north and the south of the province lies the Sulawesi Sea and the Gulf of Gorontalo or known as Gulf of Tomini, respectively. Prior to Year 2000CE, Gorontalo province was part of North Sulawesi province which lies on the eastern border. The western border of the province is Central Sulawesi province. Topographically, the province is relatively low (0—40o), with the elevation ranging between 0—2,400 m (7,900 ft) above sea level. Its coastline length is more than 590 km (370 mi). Counting the Exclusive Economic Zone to the north where Philippines is at the border, the total sea area of the province is more than 50,500 km2 (19,500 sq mi). There are some small islands around the north and the south of the province, 67 of which have been identified and named. The governor and vice-governor, who are elected directly by the people, head the provincial administration. The province is divided into five regencies (Indonesian: kabupaten) and only one city (Indonesian: kota). When the province was established in 2000, there were only two regencies and the city in the province. Splitting of regencies occurred in 2003 (when Pohuwato Regency was created from the western part of Boalemo Regency, and Bone Bolango Regency was created from the eastern part of Gorontalo Regency) and 2007 (when North Gorontalo Regency was created from the northern part of Gorontalo Regency). As of 2010, the list of regencies and cities in Gorontalo province is given in the table below. Gorontalo province mostly consists of mountains that stretches from north to south of the province. Gorontalo Mountains has a beautiful panorama . The mountains and forests are homes to unique flora and fauna. Dwarf buffalo, Tarsier, maleo and Babirusa are ones of the rare species that can be found here. Maleo, for example, is a species of bird whose eggs are bigger than its own body. While Tarsier is the smallest primate in the world,with its length of about 10 cm. In the forest are to be found Gorontalo Ebony tree, lingua, Nantu, Meranti, and Rattan. Saronde Island is a mainstay of Indonesia International Travel in Gorontalo Province. This island located in the district of Ponelo, Kwandang, North Gorontalo District. Saronde Island famous for its beautiful white sand beaches, crystal clear waters and beautiful coral reefs in the vicinity. Five Star Cruisers and International yachters frequently visit this island every year. In addition, there are three other islands that can be explored around in this area, Mohinggito, Bogisa and Lampu Island. International travel mainstay of Indonesia in Gorontalo Province is located in the district. The Island is heart-shaped; equipped with some very exclusive floating resort, with clear sea of charming exoticism. Pulo cinta Gorontalo is well-known among some international tourists . it's often called the "Maldives van Gorontalo". Olele Marine Park is one of the International Underwater Heaven featured divers existing foreign Bolango Bone regency, Indonesia. This marine park has been very mahsyur even in the ears of European divers. Marine Park, known for their uniqueness Olele Salvador Dalí Sponge, a sponge of life that is not owned by other marine parks in the world, even in Bunaken Island marine park did not have the kind of sponge this one. Sponges are named Salvador Dalí Sponge for forms similar physical appearance of a painting by the famous painter Salvador Dalí. Botu Barani beach in Bone Bolango regency, Gorontalo became very popular among local and foreign tourists because of the existence of a group of whale sharks in the coastal area. Not only local tourists, but the presence of the docile sharks drew the attention of the International Travelers. In the past this form of relics of former Portuguese colonization. Otanaha Fortress, the King of Gorontalo used as a refuge and defense. The uniqueness of the castle visible is the material used to build the castle mixture of sand, plaster, and Maleo egg whites. 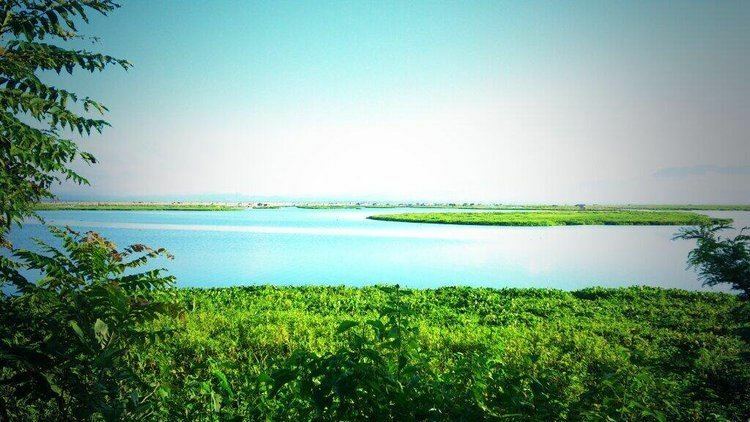 The view of Lake Limboto can be seen clearly from here, because it is on top of the plateau. Precisely, in Dembe I, Kota Barat, about 8 km from the center of the city of Gorontalo. There are two more forts were located in the same area, namely Otahiya and Ulupahu Palace. Visitors must pass through 345 stairs to reach it. The village was named Iluta, is 10 km from the city center, marking the entrance to this anyway. The unique characteristics of this lake is due to have a variety of freshwater fish that can only be found in this lake. Moreover, in this lake there is a seaplane landing field named Katelina, brought the First President of the Republic of Indonesia, Ir. Sukarno. Pakaya Tower is a tower with a height of 60 meters. At the top of the tower there are telescopes for use exploring the beautiful view of the lake Limboto. Inside the tower you can see a lot of souvenirs are displayed and several restaurants. Limboto Pakaya tower dubbed by the name "Twins of Eiffel Tower, Paris, France". The Bajo Village in Torosiaje, Pohuwato was inhabited by Bajo tribe who live in groups and have a unique culture and tradition. They always make a craft on board and working as a fisherman. Bajo still staying on a boat called "Stork", they go from one island to another in the end return to Toro Beach Island for pearl farming and seaweed. Bogani Nani Wartabone National Park is a 2,871 km2 (1,108 mi2) National Park on Minahassa Peninsula on Sulawesi island, Indonesia. Formerly known as Dumoga Bone National Park, it was established in 1991 and was renamed in honour of Nani Wartabone, a local resistance fighter who drove the Japanese from Gorontalo during the World War II. The park has been identified by Wildlife Conservation Society as the single most important site for the conservation of Sulawesi wildlife and is home to a large number of species endemic to Sulawesi. Gorontalo Regency is one of the industrial centers of the typical traditional woven cloth Gorontalo named Karawo. Karawo Embroidery is a craft to decorate various types of fabrics with various motifs of embroidery using thread plain or multicolored. The process of making embroidery karawo that slicing and retract yarn from fiber fabric that is so then embroidered with variegated yarn according to the design desired motif manually. Craft karawo a typical craft Gorontalo that has developed since a long time since the 16th century. The islands of Pepaya, Mas and Raja islands, located in Sumalata Village - North Gorontalo Regency (about 30km from Saronde Island), have been named a nature reserve since the Dutch colonial time in 1936. Four of the only seven species of turtles can be found in the islands, the world's best turtle habitat. They include Penyu Hijau (Chelonia midas), Penyu Sisik (Eretmochelys imbricata), Penyu Tempayan (Caretta caretta) and Penyu Belimbing (Dermochelys coriacea). In 2011, the habitat was threatened by human activities such as illegal poaching and fish bombing activities; furthermore a lot of coral reefs, which represent a source of food for turtles, have been damaged. Limboto Lake has 40 bird species, 14 of them are migrating birds before resuming their journey which can be found in September and October every year from Europe, Russia, Alaska and Siberia to various destinations.